This one bedroom apartment in Paris close to Palais Royal, Opera, Musee d'Orsay and the Louvre puts you right in the centre of Paris. Luxury, aesthetics and comfort were the main order of the day when the owners entirely renovated the flat with luxurious decor. Perfect for either a couple or a family of four there is sleeping in 2 queen size beds. The first in the bedroom which has access to the bathroom. The second in the living room in the form of a super-fast opening queen size sofa bed with a very thick mattress. There is a round dining table that conveniently tucks itself into the main desk which is easy to pull out at meal-times. 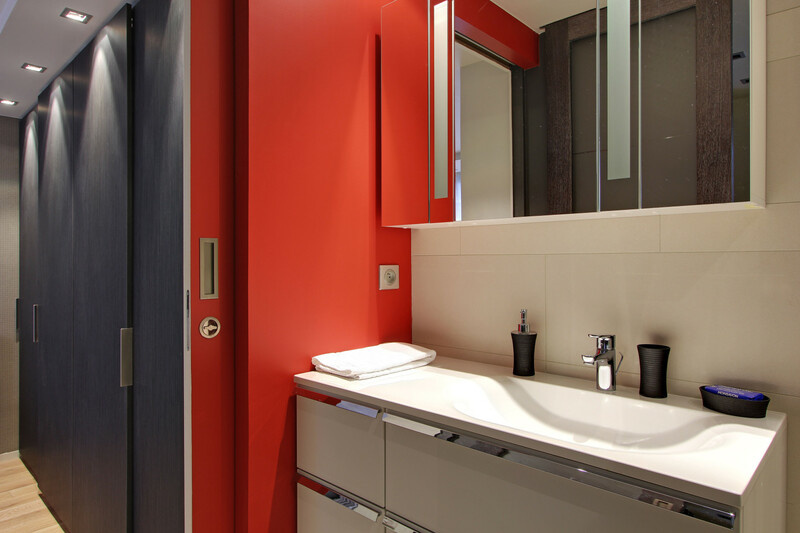 The bathroom can be accessed from the living room via the kitchen or directly from the bedroom - the bathroom has 2 sliding doors that can be locked giving either party the chance to use it in peace. It has a large walk-in shower and sink. The WC has its own space and is off the apartments hallway leading from the living room - It has two spaces one for the sink with gold leaf wall-paper and large vanity mirror and the other for the WC itself - there is also a long row of closets as you enter giving the guests staying in the living room lots of storage. There is a lot of storage in this apartment as the living room also contains another closet (left of the sofa). The main bedroom has its own row of closets and contains a guest safe. The galley style practical kitchen contains all the kitchen appliances like a fast convection stove top, microwave/oven, large fridge and separate freezer, Nespresso machine and dishwasher. There is also a washer/dryer, as well as all the smaller appliances like an electric kettle, toaster and electric coffee filter. 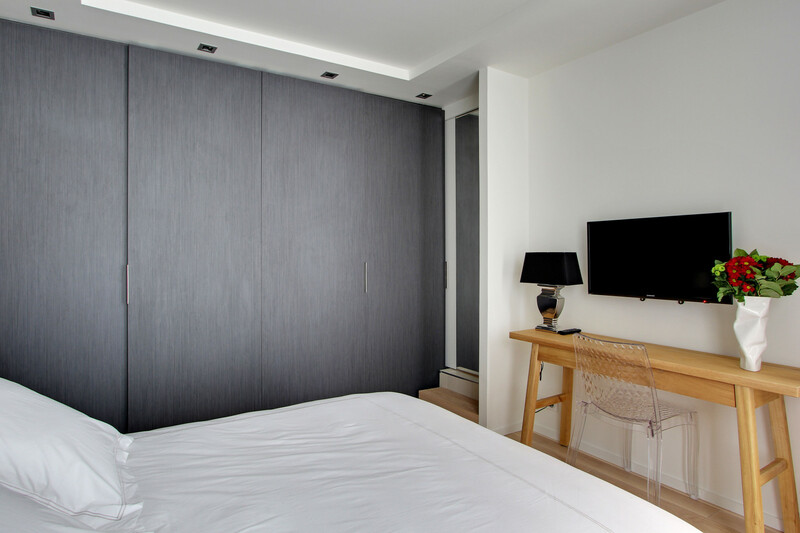 TV watching is made easy with a very large screen in the living room and another TV in the bedroom. There are nice practical touches like an ethernet socket next to the bedroom desk so that you can have ultra-fast internet directly plugged into your laptop. Free Wireless internet is provided throughout the apartment. On top of this you have been provided with free international phone calls to landlines in most of the world and also free international calls to (only) North American cell phones. The apartments is situated near Rue St Anne known for it's many Japanese restaurants - where you will often see long queues forming at lunch-time. 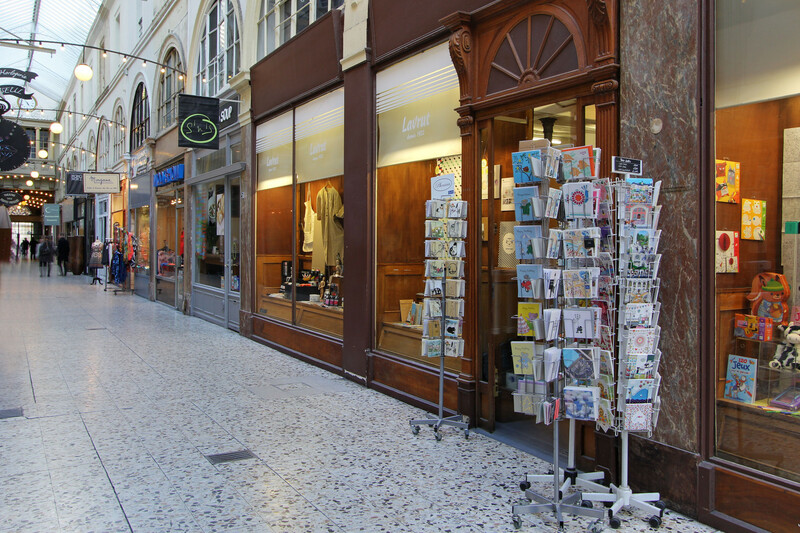 There is a charming old "Passage St Anne" leading to the "Passage Choiseuil" nearby, this is a bright gallery (thanks to it's entirely glass roof) with many independant shops, cafes, jewellery stores and art galleries. You can also reach the Theatre des Bouffes Parisiens from the passage. The Musee du Louvre is 10mns walk from the apartment. 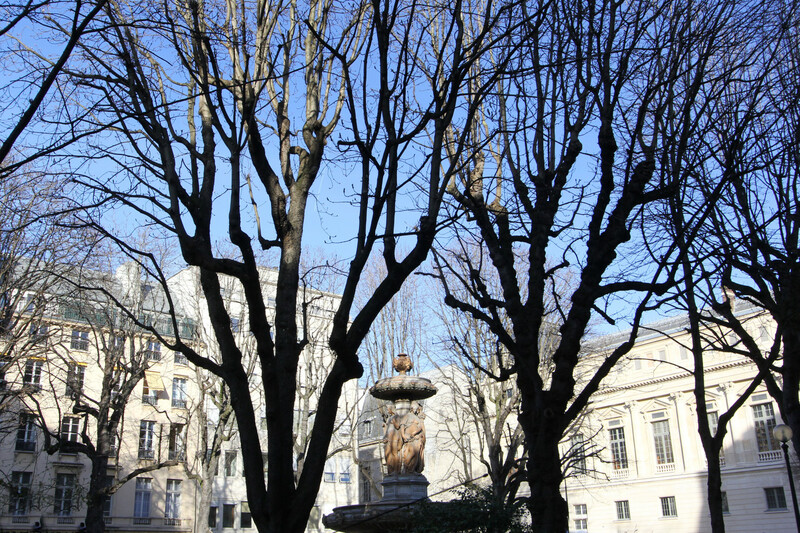 On your way there you can step into the Palais Royal and visit the sculputures of the Cour d'honneur, take a walk in the gardens and browse the antiques for sale in the many galleries. On your way to the Musee du Louvre you could fork left and East before reaching it to visit Les Halles (shopping, shopping, shopping) which is undergoing a complete transformation with fantastic views of the surrounding architecture and then keep going to reach the old Marais area or opt to visit the Cathedral of Notre Dame on the Ile de la Cite. From the Louvre you could continue down the rue de Rivoli and visit Concorde and keep walking to the Champs Elysees. Or go straight over the river and reach St Germain des Pres. Closer to the apartment and about 12mns walk away are the Galeries Lafayette and Printemps the large and most chic department stores in Paris. The location of the apartment allows you to visit so much of Paris on foot that you will hardly need to take the metro or a bus - but if you do you are near 3 metro stops: 4 Septembre (4 mns away) on line 3. Pyramides (line 7 & 14) You are also walking distance to metro Opera about 10mns walk (lines 3, 7, 8). What a place! Everything was better than described. Spotlessly clean. Great linens. What a closet! Loved coming and going through a vibrant neighborhood full of people at all hours of the day and night. Close walking distance to everything, metro and museums, shopping and sights galore. Can't wait to come back. My partner and I stayed in the apartment for 8 days. 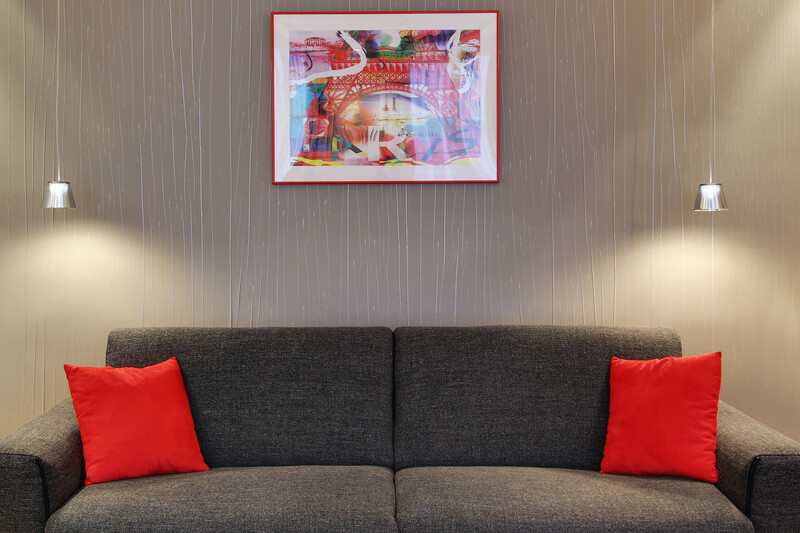 It was comfortably appointed, and in a great location for walking nearly anywhere in the city. We were met on arrival and given thorough instructions related to the property and surrounding area. Any questions after the initial meeting were answered promptly by the management company. The neighbors were pleasant when we saw them, and the road though busy was never so busy that we weren't able to open the windows and enjoy the weather or sleep well. It was a wonderful stay in a beautiful city. L'expérience a été super! Elodie a été très gentille et vraiment disponible. Également Cherline était disponible. L'appartement était propre et bien organisé. Félicitations pour l'ensemble du service! This is our 2nd time at this apartment. When we planned our return to Paris, it was a no brainer. The apartment has everything you need to live there as long as you want (this trip we were there for 8 days, our previous trip we were there 35 days). The location is special, its a 10-15 minute walk to Palais Royale, Louvre, and Tuileries, with most desirable metro lines right there. It's tucked on a quiet cross street amidst the asian food part of Paris on Rue Saint-Anne. 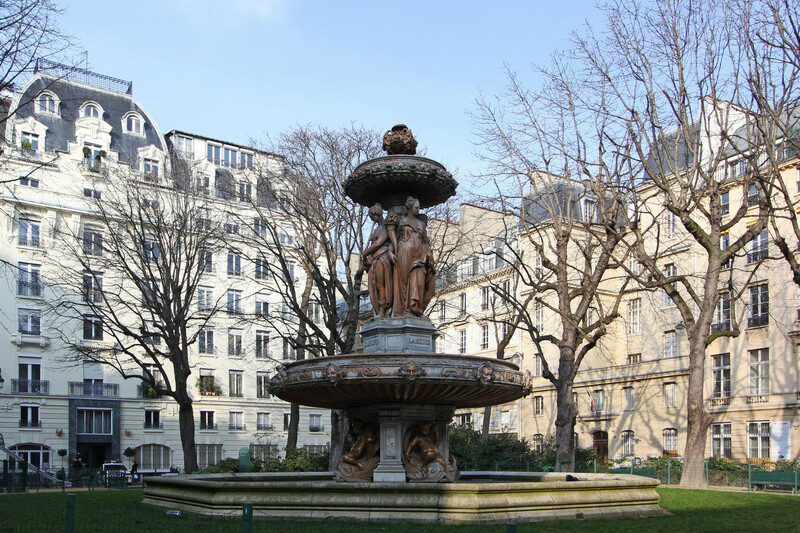 There is an amazingly beautiful, newly refurbished fountain just around the corner that will be your daily sanctuary (in Park Louvois). There are endless food options around, from quick including being right next to a Passage with dozens of options to haute cuisine within walking distance. No honest review would be without a few drawbacks. If you're staying there, I'd recommend using Uber so you can enter the destination address, or if you plan on using taxis - learn how to say in French "the corner of Rue des Petits Champs and Rue Saint-Anne in the 2nd Arrondissement". Also, if you're staying in the summer, there is no AC, but there are a few fans - but the apartment stays cool throughout most of the day if its cool at night, so its not a big deal. 5 stars, obviously would recommend and book again because we already have. Great location and comfortable for four people! 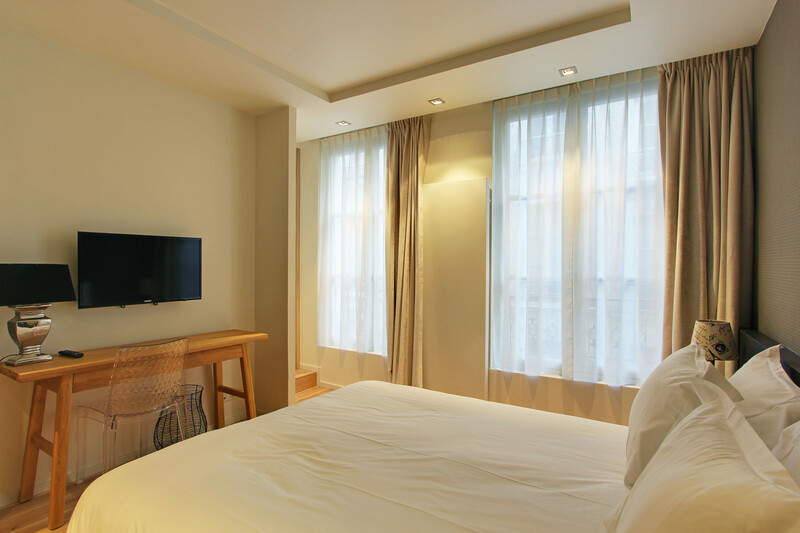 The apartment is surrounded by many Asian restaurants as well as a few nice bistros. Nearby are three metro stations and it is short walk to the Louvre. The hosts are great and well organized. 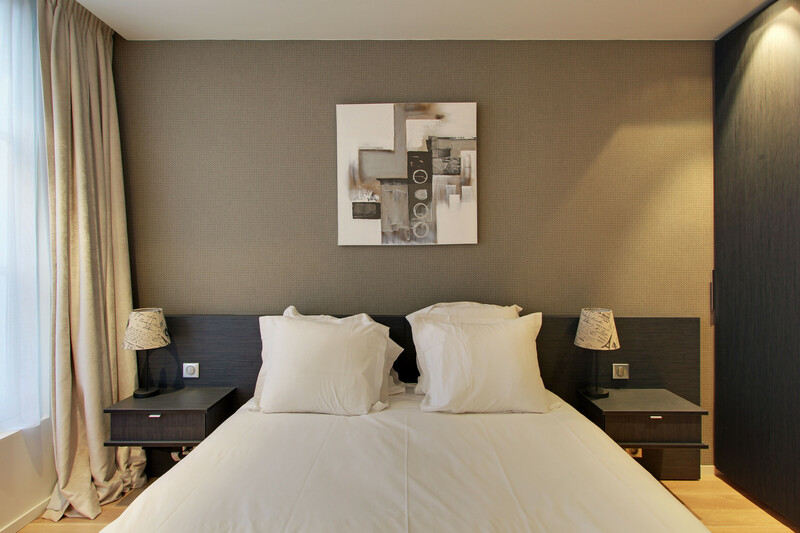 Fantastic place that is central to everything, and has all of the amenities you need for a stay in Paris! Everything was run smoothly, the staff was very responsive and friendly! We felt that the location was perfect and many sights were within walking distance. We also enjoyed the proximity of Monoprix and Starbucks as well as many great restaurants and bakeries. The reclining sofa was surprisingly very soft and comfortable! 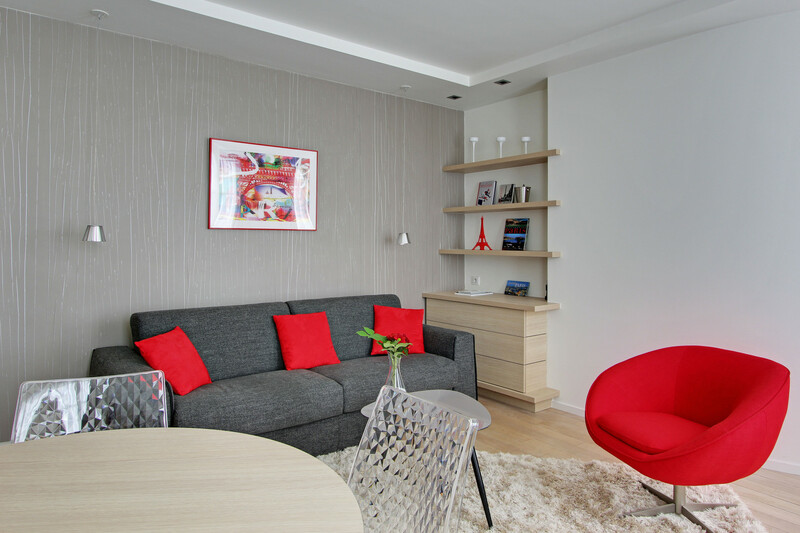 Such a fantastic apartment in a great Parisian location. The apartment is clean, as per the pictures, spacious and well thought out with everything required. It's in a great location; there is a few supermarkets and the metro within 5 mins walk and 10 mins from the Opera area and the Lourve. It is a 2 storey walk up but we didn't find it difficult. We really enjoyed our stay the apartment made us feel Paris was a bit more like our home. The agent showed us around the apartment and he always answered any questions we had. Great communication too from the reservation manager. Would recommend this apartment to family and friends. Great flat, close to metro stations and minutes walking to the Louvre, location is perfect, there's a Japanese restaurant close by good for take out when you are so tired and don't want to go out, also close to great pattiseries with fresh bread. Comfy bed and sofa, nice linens. The Nespresso machine is a plus. Overall a great Stay!! Good location; spacious living room and bedroom; climbing the stairs with luggage was cumbersome. Overall experience was great. 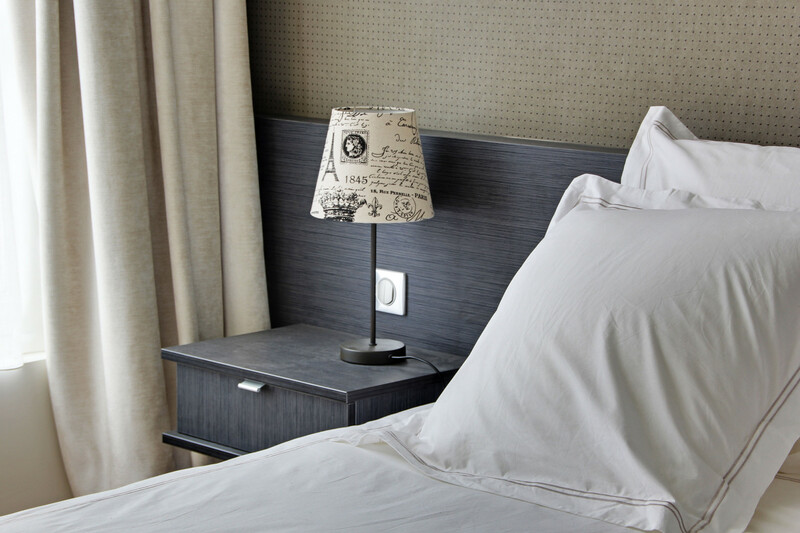 The apartment is very functional, with all the amenities a guest seeks in a foreign country. The house is in a very central part of Paris. So we not have to use much public transport. The neighborhood is very quiet, close to a beautiful park. We spent very beautiful! Thanks for the nice wine! A really nice apartment, with really nice beds and well cleaned. The localization is perfect, near to an Metro Station and in the middle of a really touristic neighbourhood. The guys were very polite and kind with us! 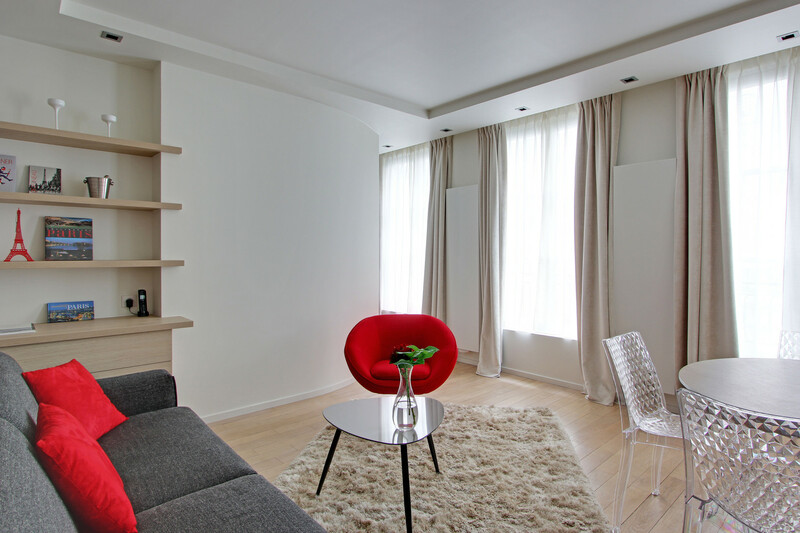 We were delighted we chose this apartment to our trip to Paris! We stayed in this apartment for over a month and it quickly became our home away from home. The apartment is setup extremely well, with very smart storage. In our experience it had everything you can ever need. The bed was comfortable, and the room had shades which made it extremely dark. The location is really solid - a quick walk to the Louvre, close to several key lines on the metro, and surrounded by food and shopping of all sizes, types, prices, etc. The area is away from tourist heavy areas, but in the middle of a few blocks of asian restaurants - which was nice for the few times we wanted to change it up. The host met us there (despite us being 2hrs late dues to traffic/customer) and got us acquainted nicely - very smooth hand off. The apartment had everything we needed. The location was very ideal. There's a good chance when we come back to Paris, if this apartment is available, we will book it again. Michele and her team are a pleasure - very accommodating and prompt communications. The apartment is a gem! Great stay! Beautiful flat with fantastic location, including a number of cute Asian restaurants right outside the front door. We were greeted by a very nice young man from the rental agency who gave us an excellent tour of the apartment. No issues with the apartment while we were there. Very clean and good supply of extra pillows and blankets. And thank you for the wine, Michele! Hospitalidade maravilhosa!!!! Apartamento maravilhoso, bem localizado, excepcinalmente limpo e (URL HIDDEN) certeza recomendo a todos!!!!! 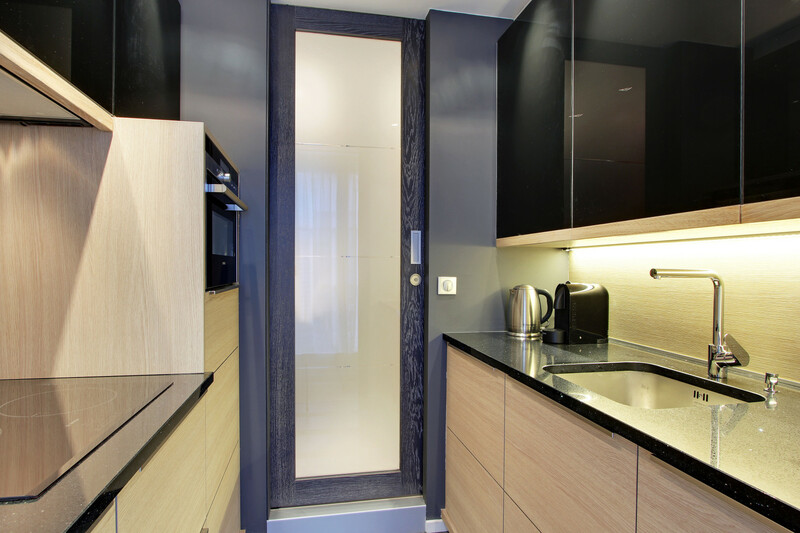 Muito bom apartamento, todo equipado, com excepcional localização, próximo ao Louvre, à Ópera e a várias estações de metrô. O agente Ben tudo fez para agradar, com simpatia, dando dicas precisas (e preciosas) de Paris. Foram oito dias muito bem aproveitados! Recomendamos!!! Pietra, Suyan e José Eduardo. Leiligheten ligger veldig sentralt. Hyggelig nabolag. Lys, luftig og ren leilighet. Høy kvalitet med god dusj, gode kjøkkenfasiliteter og gode senger. Superbe appartement, spacieux. Situé dans un quartier agréable. L'hôte et son équipe sont formidables et bien organisés. Très belle expérience. Meine Frau und ich haben das Appartement für 5 Übernachtungen mit unseren Kindern (beide 14) gemietet. Der Platz war ausreichend, die Ausstattung ist sehr gut. Die Übergabe der Schlüssel hat perfekt funktioniert. Das Appartment war in einwandfreiem sehr sauberem Zustand, die Lage zum Zentrum ist perfekt, gute Metro-Anbindung. Wir können die Nutzung ohne Wenn und Aber empfehlen. We thoroughly enjoyed our stay in the Opera Louvre apartment. The space was perfect for our family of 4. Our girls were very comfortable sharing the sofa bed. The apartment was modern, clean, and well stocked. It was very nice to have both a washer/dryer and dishwasher. Loved all the light from the large windows and also appreciated the blackout curtains to keep out the street lights at night. We would not hesitate to stay here again. Thank you for a lovely vacation! 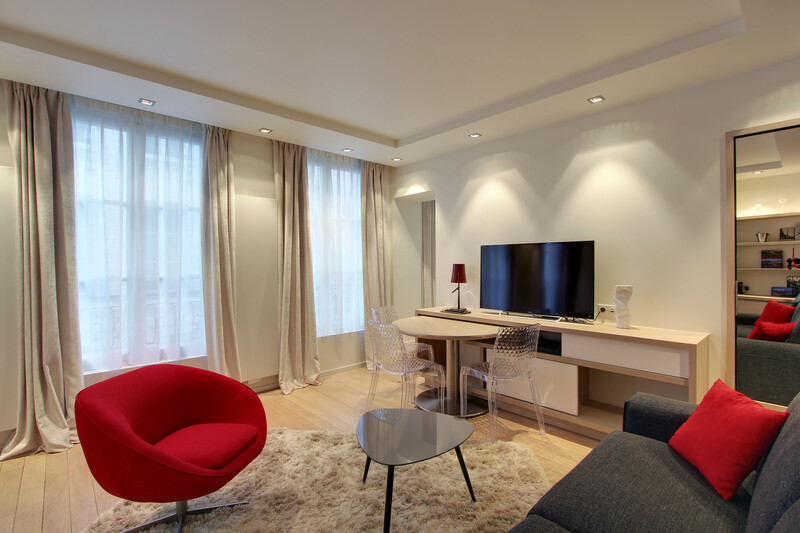 We were in Paris both for business and pleasure, and this apartment was great for the four for us there. Having two separate sinks, and the WC separate from the shower bathroom worked perfect. The beds were very comfy and the kitchen well supplied. It is in a quiet little street with lots of wonderful asian restaurants in the neighborhood. Easy to walk everywhere. Our checkin was a little later than promised, but not a big issue. They were very nice to let us leave our bags while waiting for the apartment to be ready. The apartment was try to the pictures. Totally recommend it. 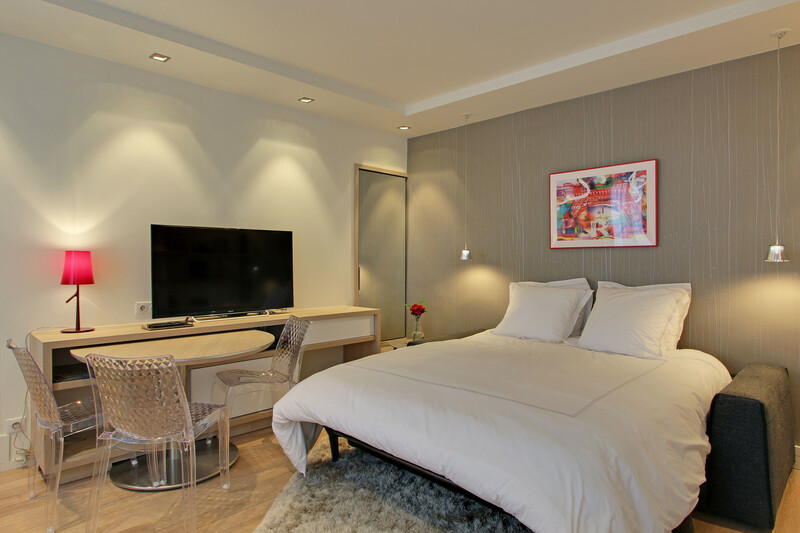 A contemporary and very well appointed apartment with the most comfortable bed. Well located and close to everything- restaurants, major tourist spots, a short walk to the Metro in a residential neighbourhood. Our local park was a nice place to chill out and read in an afternoon. Everyone has been been fantastic and very helpful no matter how small our questions were. Thank you for making our stay such a great experience. Let me tell you about this apartment, from the moment I arrived tell the day I left everything went well. Everything we wanted to see we could walk to, the location couldn't be any better. The neighborhood has everything you need (groceries, restaurants, pastry shops bakeries) I also liked the fact that when you arrived someone was there to make sure that you would be very comfortable in the apartment.Great Job !!! Sorry that this took me so long to write . My husband and I were traveling around Europe for two months and this was the last place we stayed in Europe. We loved it here! The location was so great in the 2nd District, close to everything! We could walk almost everywhere. I also love the neighborhood since there were a lot of great restaurants within walking distance. The young man who met us at the flat was almost one hour late but he was a help with the door locks, which were tricky. The best help was this note book they keep which tells you how to use every everything in the flat! That was a great idea and the only one we found in all the flats we rented in Germany. The flat has every convenience from home , and it was very clean. We really didn't eat at the flat, just coffee a couple of times. We love crepes and there are great creparies in Paris! People we met here in this building were all very nice, in fact everyone we met or talked to in Paris was very nice. We plan to return to Paris and would love to rent this flat again! Great apt exactly as shown in pics. Well located to get to Louvre, opera and metro. Apartment is well laid out and it was great have the nespresso machine plus all the other appliances. The shower was great with good water pressure. A few things to know - it is up two flights of a spiral staircase. Not a problem, except be aware if you have a heavy suitcase. The key is different than what we are used to, so I asked the agent who let us in to show me how to use it - he stayed until we tried it successfully a few times. It seemed harder than it is because it's different but we got used to it pretty quickly. I highly recommend The rental co. They were so helpful in answering all of my many questions and even worked with the owners to get me the dates I needed. Also appreciated the comprehensive notebook that was left with instructions for everything from the washer/dryer to using the tv. The taxi number in the notebook was reliable as well. The cleaning deposit was fully refunded after one week. The apartment was perfect for our short stay in Paris. The location is very central - just off the Avenue de l'Opera from which you can walk in one direction towards the Opera (5 mins) and the other direction towards the Louvre (10 mins). The immediate area was lovely - everything we needed was on our doorstep - boulangerie/patisserie, supermarket, pharmacy etc plus plenty of restaurants. 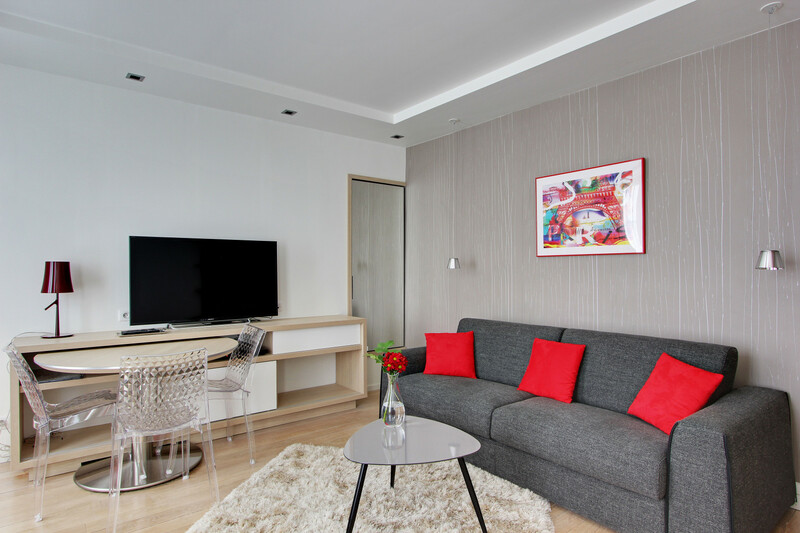 The apartment itself was attractive, clean, well equipped with good room sizes and we appreciated the fact that the furniture and appliances are new and in excellent condition. Both the bed and the sofa bed were very comfortable. We found the agent James to be friendly and helpful and it was nice to know he was just a phone call away if we needed anything. Living in the apartment for a week amongst the locals was in my opinion a much better experience than staying in a hotel room. If we decide to visit Paris again in the future we would definitely want to book this apartment. This apartment was perfect for our first time in Paris. It was central to everything and extremely clean. Our flight was delayed and we needed to change our arrival time at the apartment and they were so accomodating, making sure there was someone waiting for us at the apartment when we finally arrived. The apartment was bigger than expected and fully equipped with hair dryer, appliances, etc. I would 100% recommend this apartment to any couple visiting Paris. This apartment is magnificent. I can't wait to return to both Paris and to this apartment. The location is excellent - we were able to easily walk to restaurants, shops, museums, etc. In fact, we only used the Metro once during out stay, as everything was so convenient. Within blocks you can find both the large market as well as boulangeries, patisseries, and other small shops filled with wonderful foods. The kitchen was equipped with everything we needed to prepare two wonderful dinners. The neighborhood is very quiet at night but with enough activity to feel safe when coming home late. The apartment actually looks even better than the pictures. 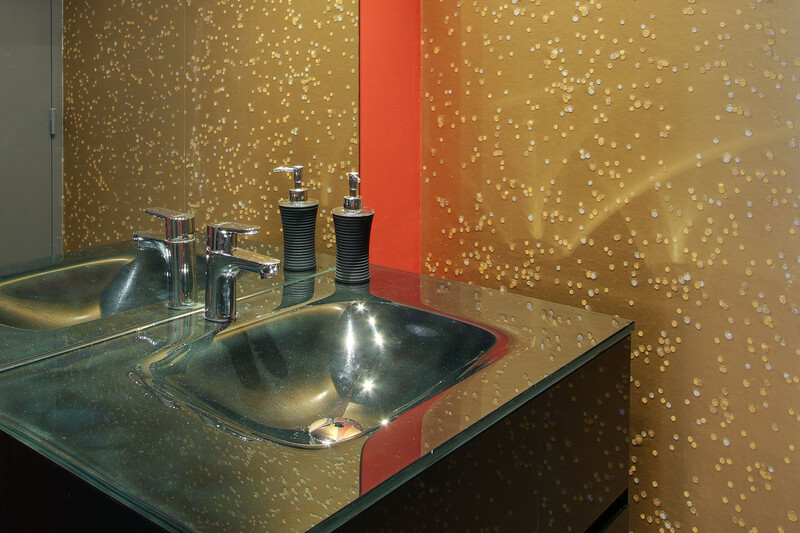 It is modern with all of the amenities you would expect from a nice hotel. Mats, our agent, was attentive in showing us how everything worked, gave us some great suggestions for dining in the area, and was completely helpful when we contacted him a few times with questions. My only issue was the lack of air conditioning - while I knew this before I rented, I did not realize how much I would miss it. We were fine for the most part without it, but when the temperature reached above 85 degrees, the nights did not cool down enough to be able to get comfortable even with the fans provided. This is not a flaw of the apartment and not meant to be a complaint, but it is noted for those for whom it may be an issue. I would rent here again and hope to do so in the near future. 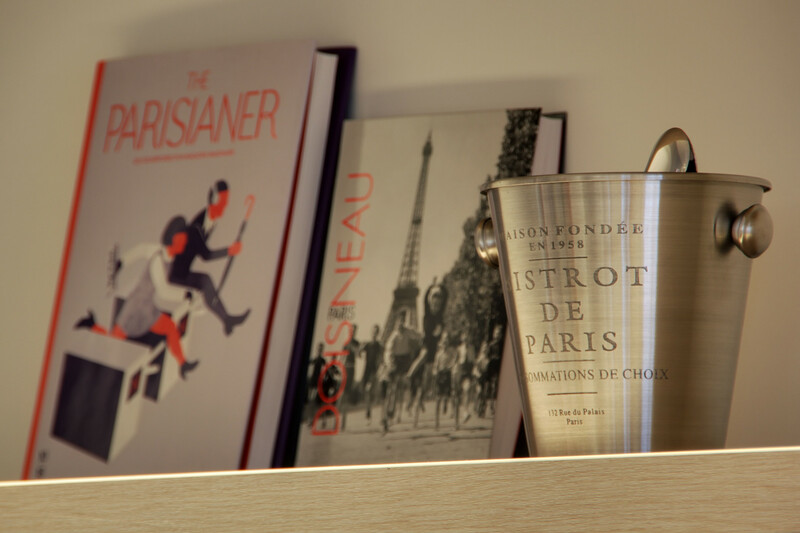 If you want to live like a Parisian for a short time, this is the place to stay.
" Excellent Central Location on a Quiet Street"
The property located literally within 15 minutes walking of most everything. And if you don't want to walk, there are at least 3 subway stations with in 5 minutes walking. It is located on a quiet street so do to not get any of the street noise but yet you are steps away from the hassle and bustle of the city. The apartment is very well kept with modern remodel and furnishings. Both king size bed and the fold out coach are very comfortable. 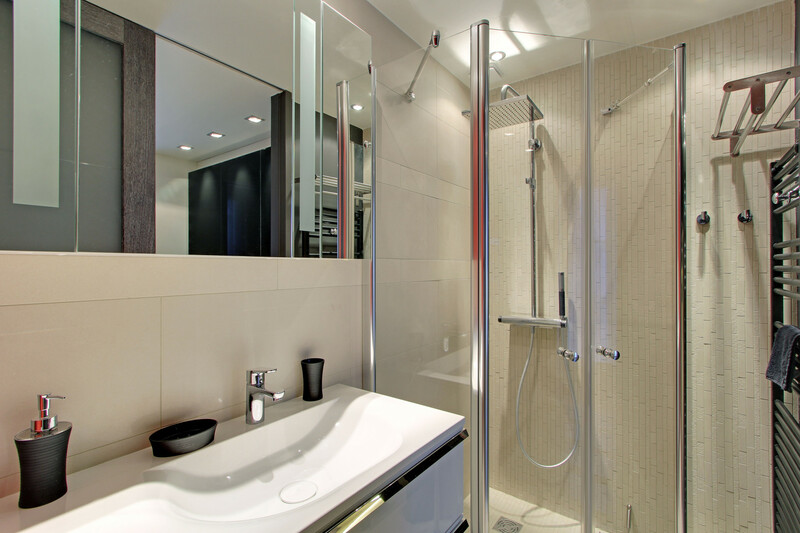 The shower and the toilet are located in different sides of the apartment so to get to the toilet from the bedroom you need to walk through the living room where people are sleeping. If you travel with more than 2 people, this is a small inconvenience. There are hundreds of restaurants around with asian cuisine surrounding the block, but many other restaurants are available within 5 minute walking. There three markets within 5 minute walking to chose from if you need supplies. Overall, a great experience and would recommend it to anyone. This flat was a great place for our experience in Paris. I say experience because it was so much more than a trip. We enjoyed the condo in many ways. We had more privacy than a hotel room. The kitchen, washer/dryer, bathrooms, bedroom and living area all worked together to make it a great vacation living arrangement. It truly felt as if we were living in Paris, not just vacationing. It was very clean, which to me is one of the most important aspects in renting. It was also very economical. I would recommend this rental to anyone coming to Paris.
" Great location in paris"
We thought we would be using the metro but found we could walk everywhere we wanted to go. Just as well we needed to walk off those extra kilos we gained with the wonderful food and wine options of Paris The agent looked after us much more than expected and we appreciate it. In the event we have friends visiting Paris we will have no hesitation in referring them. 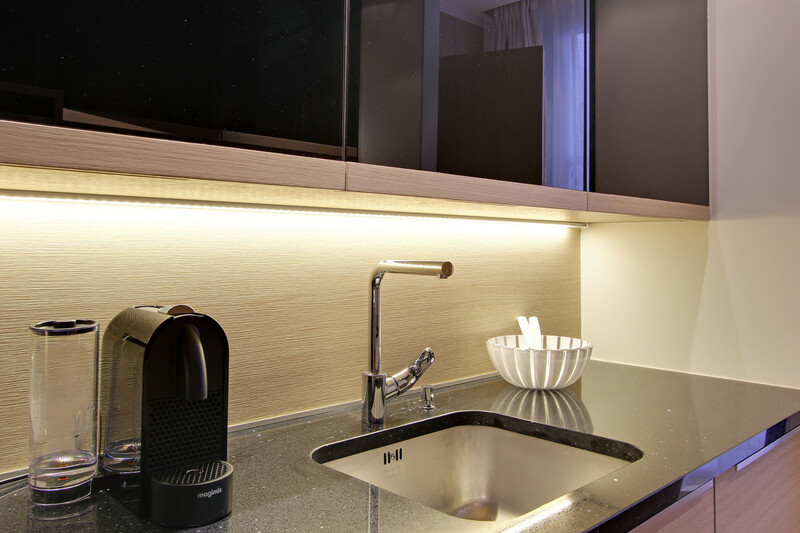 This apt has every thing you need, from washing machine to a great hairdryer. It's in a great location within walking distance to many of the great Paris attractions. Our hostess was also wonderful and explained everything clearly. I would highly recommend this apt.
" The best place in Paris"
irst of all, we arrived in Paris and my phone died as soon as we ordered Uber driver, so we got there late. Mats (the agent who was supposed to walk us through the apartment) was there and got worried when we didn't show up on time. He was so thoughtful to come down to the street to check if by any chance we were there. And we were, as all the info about how to enter the apartment was stored on my phone that was dead. Mats was very professional, showed us around the apartment, explained everything we needed to know and even gave us recommendation for the restaurants nearby. The apartment was great!!! Sometimes you see pictures online and everything looks great and then you come into the apartment and it kind of looks like what you saw on the pictures, but not as nice. This one was the opposite. We came to the apartment and it looked twice as nice as on the pictures. Mats told us that the apartment was recently renovated, we were the third party staying there after renovation and it showed - everything was like new and a in great working condition. It was very clean, sleek, practical and comfortable. We loved every minute of staying there and often stayed way too late in the mornings enjoying our coffee and breakfast. The kitchen has everything you need and even more- rice cooker, salad spinner etc. One day we realized that the wine opener was missing, Mats got it for us the next day. The other great thing about this apartment is it is in the center of Paris, you are very close to everything: Opera, Louvre, river, Montmartre etc. We stayed for 5 days and never took a metro or a taxi. My friend is coming back with her mom in June and wants to stay in this apartment again. And if I come back that would be my choice too. We loved this placed.
" 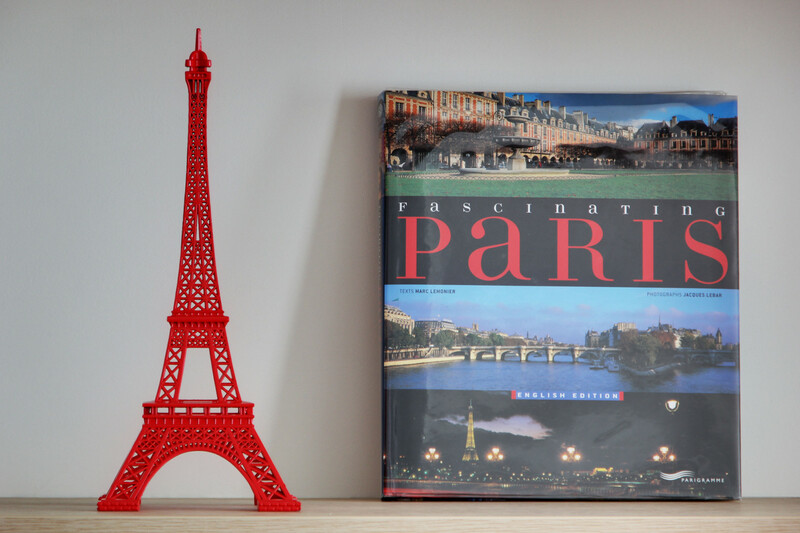 5 perfect days in Paris! Great apartment!" I booked an apartment to have a short vacation with my parents. First, I was afraid there won't be enough place for 3 of us, but I would say that even 4 people can easily stay there. 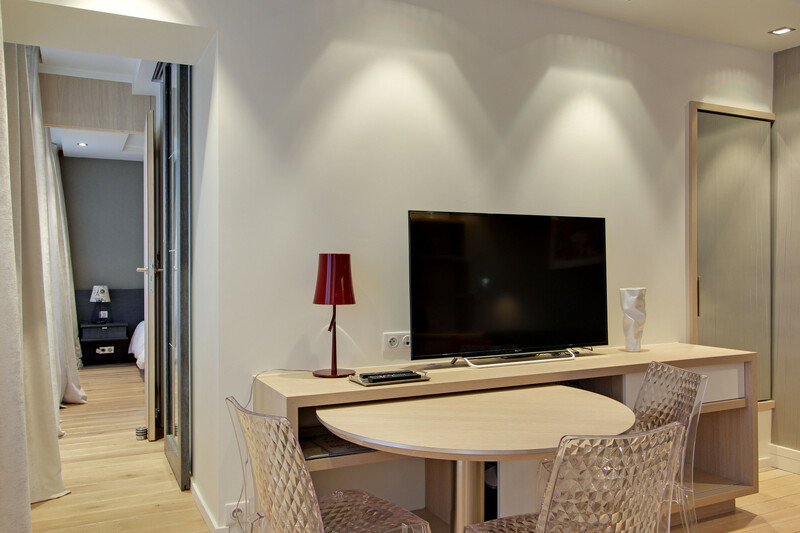 The apartment is absolutely newly renovated, clean and fresh, well designed with all equipment needed and even more. It's just about 10 min walking from Louvre and 5 min from Opera through the central streets. The agent was wonderful. She prepared and printed all the information for me with urgency phone numbers, taxi, subway information, maps showing all the nearest grocery stores, pharmacies, restaurants and everything needed, and a lot more. She met me on time and spend more than half an hour explaining all the details about the apartment, locks, equipment, etc. I will definitely rent this apartment next time I go to Paris!! Thank you!! One thing for travellers: I would not suggest to bring heavy luggage (more than 25 kg 1 piece). It's second floor, just 20-30 steps up the stairs, but to let yourself have a great vacation without stress, it's better to keep that in mind.